Apple Watch is a series of smart watch, designed, developed and marketed by Apple Inc. If you wear an Apple Watch you know about the sounds that you receive from its in-built speakers. And if you don’t want to disturb others with its noise, you can turn it off. Turning off sounds on your Apple Watch is an easy task. You can either turn it off from your watch or you can use your paired iPhone. Tap on the Apple Watch screen and unlock your Apple Watch by entering your pin. On the main screen swipe up from the bottom to open Control Center. In the Control Center, you will find bell icon. Tap on the bell icon to silent your Apple Watch. You can also silent your Apple Watch from settings. Tap on Sounds & Haptics. From Sounds & Haptics, enable Silent Mode. Note: You can also make additional changes to the sounds of your Apple Watch. From Sounds & Haptics, use slider control under Alert Volume. You can also change all the settings of your Apple Watch using Apple Watch application. Scroll to Sounds & Haptic option and tap on it. In Sounds & Haptic enable Silent Mode. Your Apple Watch will be Silent. 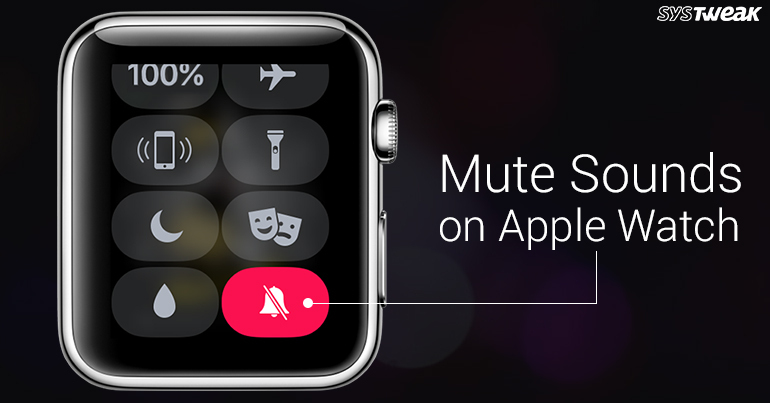 You can also increase and decrease alert volume from your Apple Watch application. You will find slider to turn volume up and down on top. It is very embarrassing to have your Apple Watch make sounds in movie theater, on a date, or if you are in a meeting. Whatever a situation maybe you can use these steps to easily silent your Apple Watch. Silent mode also comes in handy if you are taking a nap.